Get 70-671 book exam product and exam 70-563 training dumps with 100% guaranteed success. Our best quality mb2-631 key prepares you well before appearing in the final exams of mb7-841 along with exam collection BH0-006 questions and answers product. How do I tell you about this? 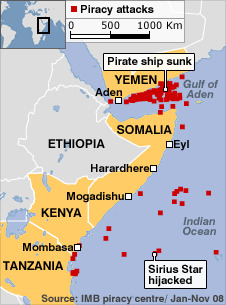 Most of you have already heard about the Somali pirates. Just recently they captured an American cargo ship and held the captain hostage. They have done this to many other vessels from a variety of different countries. In fact, the American captain was lucky -- he escaped, with the help of some sharp-shooter Navy Seals -- but hundreds of international sailors and crew are still being held by Somali pirates who seek millions of dollars for their safe return, and the safe return of their ships. You know all this already, though. And you probably think it's just one more evil group of people trying to get rich quick. You probably even think we should just kill them all or find their Somali-based camp and wipe it out and be done with it. But there's another side of this story you haven't been told. And when you hear it, you might just change your opinion of what's been going on. I want to first describe Somalia. It's not a beautiful place, in fact it has been compared to hell on earth. 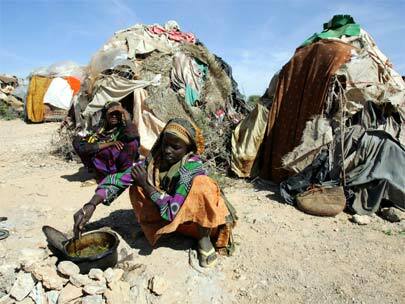 All of Africa is poor by western standards, but Somalia is poor by African standards. Decades of drought, famine, genocide, war and corruption have left the inhabitants of this dusty ruin of a country in a constant battle for daily survival. The land is littered with trash and debris from brief periods of hope and prosperity that cycled through corruption and violence. People live in huts made of trash and a majority of the nation survives on their only resource -- the ocean. 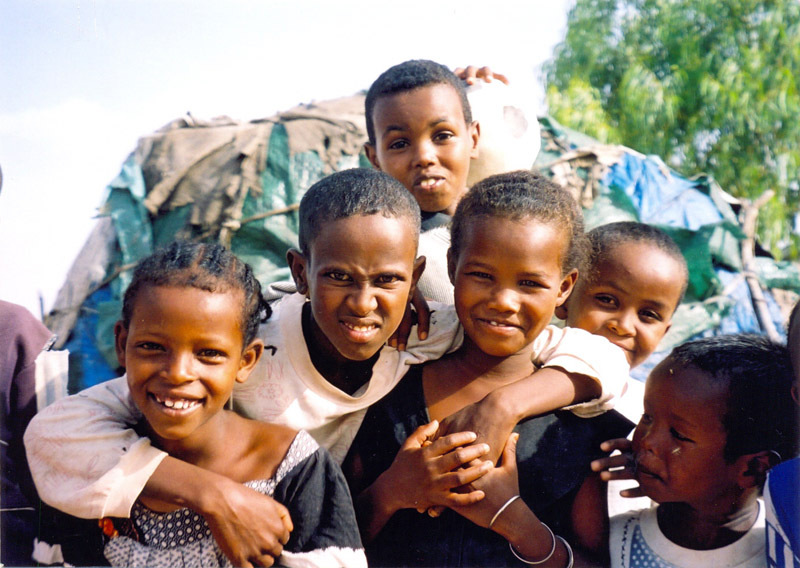 In the latter part of the 1990s, Somali people began to get sick. It was isolated at first -- skin rashes, some hair falling out, bleeding of the gums, diarrhea... and it came and went. Some people thought it could have been the fish or the water, but no one really could focus on the cause. Then, on Christmas day of 2004, it all became clear. The great earthquake in Indonesia caused a deadly tsunami that moved west, killing hundreds of thousands of people along the way, and finished by pushing the ocean waters up the Somali coast. 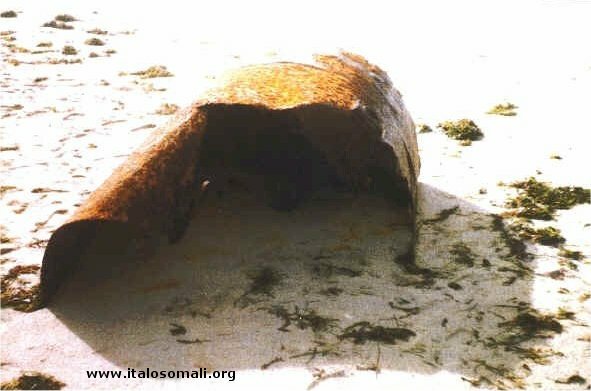 After it receded, Somali people found dozens of huge, strange metal cylinders on their shoreline. Being impoverished but resourceful, people began to open the cylinders and scavenge through the contents. Maybe there was something of value inside... something they could use or sell for food. Some cylinders contained what appeared to be rocks or dirt, others had what looked like plastic and glass trash. Soon, the beaches were littered with the same debris, likely from cylinders that had broken apart under the water. Within a few weeks, hundreds of people were sick and 300 people had died. Why? What was going on? What does this have to do with pirates? In a schoolyard, the bullies usually pick on the weakest kids. In the global schoolyard, a country without a government to protect its people, like Somalia, is an invitation for abuse. And when the abuse is about money it's a done deal. "European ships have been looting Somaia's seas of their greatest resource: seafood. We have destroyed out own fish stocks by over-exploitation ñ and now we have moved on to theirs. More than $300 million worth of tuna, shrimp, lobster and other sea life is being stolen every year by vast trawlers illegally sailing into Somaliaís unprotected seas." 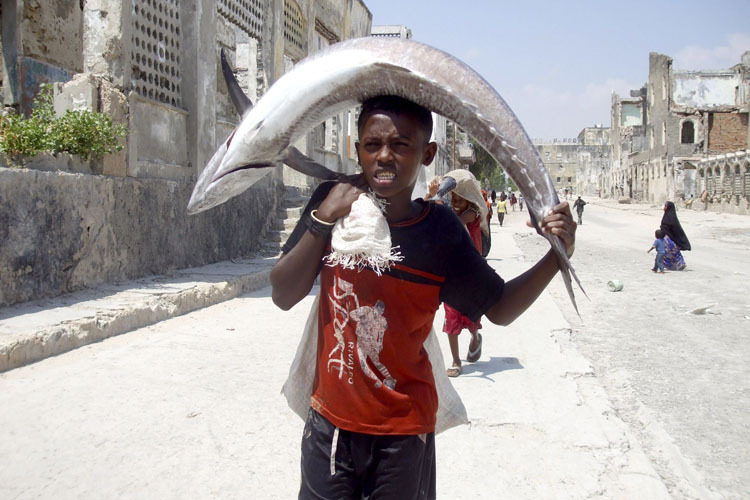 The most prized catch of the Somali seas if the yellowfin tuna, yet these fish have been found to have surprisingly high traces of such toxic chemicals as cadmium, mercury and radioactive uranium. Despite this, these same fish are sold all across Europe without the requirement to disclose the chemicals or their country of origin. In the latter part of the 20th Century, a growing expense to both private corporations and governments has been the disposal of waste -- biological from hospitals and labs, toxic waste from factories and industry and nuclear waste from medical and military use. Even the least expensive disposal of these toxic materials can cost $250 per ton. But what if a company offered to dispose of these toxic wastes for just $2.50 per ton? You can see where this story is going. In the mid-90s, a Swiss firm, Achair Partners, and an Italian company, Progresso, offered their quick toxic waste disposal services to a host of European nations. The waste was loaded on to their ships and sailed away. Oh yes, there was talk and plans were made for giant incinerators to neutralize the poisons. It was all supposed to be ecological. But none of the contractors -- mostly European nations -- bothered much to check that out. Yes, the waste was loaded on to their ships and sailed away... only to be dumped in the shallow ocean off Somalia. After the 2005 tsunami, much of the once submerged waste found it way to the beaches where the broken containers spread debris and toxic particles inland. Nick Nuttall, a UN Environment Program spokesman, said that there are reports from villagers of a wide range of medical problems like mouth bleeds, abdominal hemorrhages, unusual skin disorders and breathing difficulties in many of the northern Somali villages like Hobbio and Benadir. What? You never heard of this before? Humans are an amazing species. We are capable of the best and worst. At best we can survive and struggle against almost anything to ensure our survival. The Somali people did. Faced with no government to protect them from the pollution of their ocean, and the depletion of their only source of food, they organized against the dumping. They organized locally in tribes, and the tribes organized clans. With no coast guard, the Somali fishermen tried to thwart off the huge ships that were dumping uranium, mercury, lead, medical waste and other toxins on their food supply and livelihood. They knew their small effort would have little effect on the huge dumping companies... but maybe if the world knew... maybe the world would stop them. "We are reacting to the toxic waste that has been continually dumped on the shores of our country for nearly 20 years. The Somali coastline has been destroyed. We believe this money is nothing compared to the devastation that we have seen on the seas." "The town's residents are more concerned with the dumping of toxic waste than piracy... this dumping has been going on for a very long time. In 1991 the government collapsed in this African Nation and certain large corporations took advantage of this. 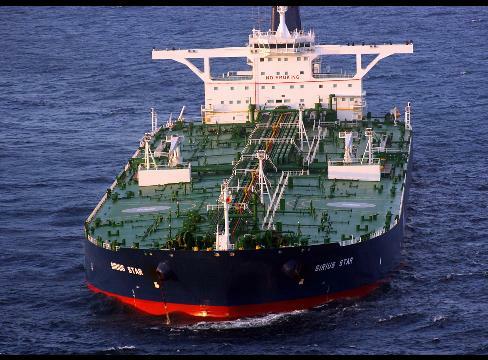 European ships started appearing off the coast of Somalia, dumping thousands of barrels of toxic waste into the ocean. The coastal population began to get sick. At first they suffered strange rashes, nausea and malformed babies and many other symptoms but lacking proper medical attention much was overlooked. Then after the 2005 tsunami, hundreds of the dumped and leaking barrels washed on shore. People began to suffer from radiation sickness and more than 300 died. A few nights ago, some tanks came out from the high sea and they cracked it seems and now they are leaking into the water and into the air. The first people fell ill yesterday afternoon. People are reporting mysterious illnesses; they are talking about it as though it were chicken pox -- but it is not exactly like that either. Their skin is bad. They are sneezing, coughing and vomiting. This is the first time it has been like this; that people have such very, very bad sickness. The people who have these symptoms are the ones who wake early, before it is light, and herd their livestock to the shore to graze. The animals are sick from drinking the water and the people who washed in the water are now suffering. " In August of 2008, a group of about 40 Somalis attacked and seized an Iranian cargo ship, the Dyanat and took it to the port of Eyl. There it was secured by a larger group of about 100 Somalis. Within days of securing the ship, those Somalis that had been on board and inspected the cargo began to develop strange health problems. They had strange skin burns, loss of hair, nausea... and a number of men died. The actual cargo containers were securely locked and the crew claimed they did not have the access codes to open them. At first the captain said the containers contained "crude oil" but later admitted they were carrying "minerals." After a week the ransom was paid and the ship continued. Many believe it contained radioactive waste that would have been dumped had the Somaliís not intervened. But humans are also capable of the worst. Despite the Italian Greenpeace announcement in 1992 that this activity was going on, despite the United Nations warning in that same year, despite the Italian parliament's recognition of these activities in 2000, the thousands of Somali people who are sick, the mutations and hundreds of deaths and contaminated fish, even today, these facts are suppressed. The European nations who signed contracts with Achair and Progresso could care less about a poor country with dark skinned people. In the color spectrum of greed, green trumps every color. It is much easier to ferment hatred for brown or black skinned "pirates" than to admit the real reason for these desperate acts. It is much easier to just "kill them all" than to step in to their shoes (or lack of shoes) and see what options you might choose. Just recently, British Foreign Minister David Miliband boasted that Britain would take the lead on "cracking down" on the pirates. The Royal Navy has instituted a special operation called "Operation Atalanta." 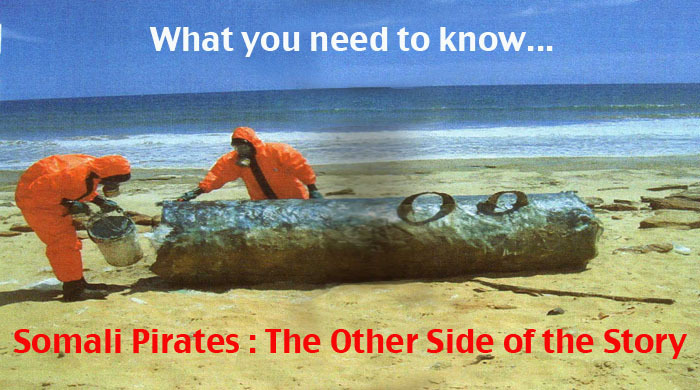 The target will be the Somalis -- not the toxic waste ships! So now, US and European ships will continue to dump their toxic cargos with the protection from huge Navy vessels, and continue the misery of the Somali people. Oh, there's much more I could write about this. I could tell you the guilty individuals who allowed this to happen or how the Somali warlords received arms in return for their complicity. Or the brave journalists like Ilaria Alpi and Mivan Brovato, who were assassinated in Somalia following their interview with a high level whistle-blower... But, for now, open your eyes and look for the truth behind the headlines and sound-bites. It's much more interesting to think in black and white, good and bad. But too often the truth comes in only one color, the green of money. When I heard about these Somalian Pirates I knew from the get-go that there was more to this story than was being told to me. Now I know. I will do everything in my power to spread the word for the Somalian people. I think I may go over there after I finish medical school and try to help the sick. Thank you so much for putting this here. I pray that more people will see it. Thanks for the information that we don't get on the nightly news. My question is - where does all the money go once it is received from the ransom of ships and crew? Is there any way toi know if it goes back to clean up this mess? After I read this I forwarded it to my friends and family and would ask everyone whe reads it to do the same the more this info gets out the more goverments will have to folow italys example and speak out and possible take action against this terrible dumping that is happening.